You're right! 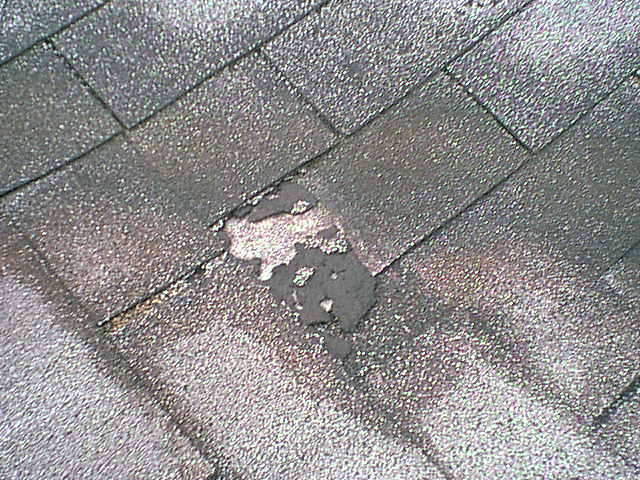 The shingles are damaged. You're right! The slope of the ground is negative. 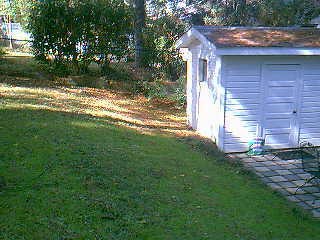 The negative drainage slope of the ground towards the structure may cause problems. Sorry! That's not correct. Give another try. Correct! 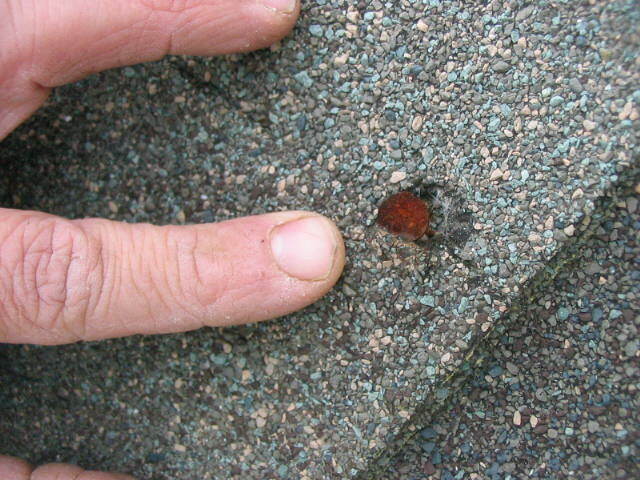 This shingle has a roofing nail backing up and popping through the asphalt roof covering. Sorry! But that's not correct. Try again. That's correct! The sewer drain pipe is missing a cap. This may cause a major leak into the house. 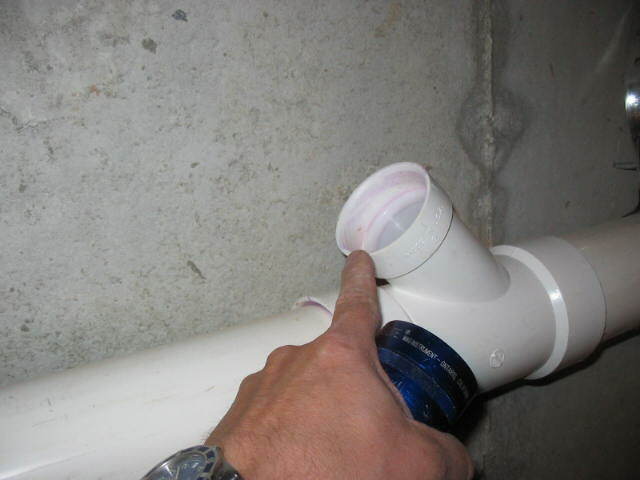 Sewer gases are entering through this opening.